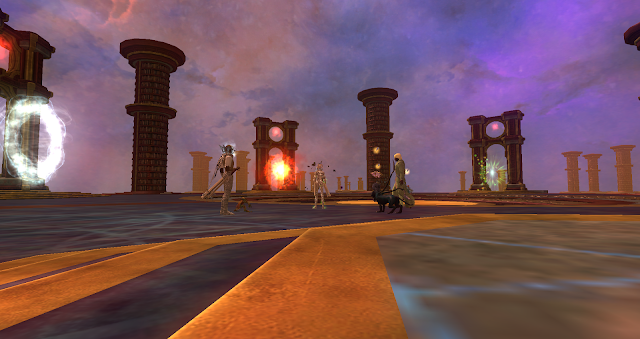 EQ2 released it's 14th expansion this week. It has a bit more bulk and outdoor/overland zones than the past two, so I love this aspect. There are many solo/group and raid zones, plenty to do. I jumped in on release day and gave it a spin. It's quite lovely, the whole expansion. Lots of interesting looking zones. Instead of Plane of Knowledge from the first EverQuest we get the Library of Myrist. It's a huge library which is the hub of the expansion. The expansion starts off well, you get some go here and there quests to help you get a feel of the place and lots of tidbits of lore that really make it wonderful starting off. Overall I like the expansion but playing with my enchanter it has been very slow progressing through things. The bosses take forever to kill on solo mode and there are mechanics you have to pay attention to or you'll end up dead, swarmed or out of mana, not terrible but the slow pace of killing a boss is really excruciating when all I have done so far to progress the story is to go through these solo dungeons slowly killing each boss. I dabbled in the overland zones and love that I can fly around them and just check things out, spectacular to be able to do so. I suppose it is much better than a few years ago with Kunark being impossible to progress though with a lesser geared character, until they fixed that. It's just tedious at times. Overall I do like the expansion, the zones are beautiful, they are nostalgic. I loved, and still do, the PoP zones from EverQuest. They are some of the neatest places in the game. But yeah, tedium doesn't make for good or fun gameplay, so I am progressing slow. No quest markers again, not that it is a huge deal this time around, but I do miss seeing them on the maps. The team is small and this is a fantastic expansion compared to the relatively small ones we've received in the past. There are no requirements on jumping in at 110, there is also a box of gear in the library that will make it easier for you start out, if needed. I do like all of this. I wish I could go into more detail on things but I'm going very slowly with breaks consisting of other games. Since I am in a a little bit of a complaining mood I suppose I'll continue on with Warcraft. I subbed about two weeks ago and have logged in maybe twice. I really want to unlock the void elves and started it and just cannot stomach going back to old content to unlock the race. It seems like a seedy move, something a free to play game would make you do. I like the expansion well enough but just having to go back to unlock that race eats at me. There is the anniversary which we can log into and do things, claim some goodies. At least I am subbed so I can do that. I miss playing WoW for sure, nothing is stopping me, it just keeps changing and twisting things to try to keep people playing but it has the opposite effect on me lately. It is a good solid expansion but the way they handled the new races seems such a massive chore and I have plenty of those IRL! In my free time I've spent some time playing Aion and have not had time to write about it yet. Nothing cutting edge, but there have been some changes. The whole leveling process has been revamped, it is totally changed to the point where it felt like I was playing a different game. The zones have been streamlined with quests, it feels much smaller, neater and faster. If you've wanted to play it is even easier to hop in and play now. I was pretty happy with the flow of things, and honestly surprised of the changes. It has been years since I played and did much in the game outside the lower areas. A much cleaner leveling process awaits the player now. It may be too simplified for some, for me it just made it feel less murky and sluggish and I have gotten lost and wondered where the heck I was and what was I doing upon coming back to the game, this isn't an issue now. 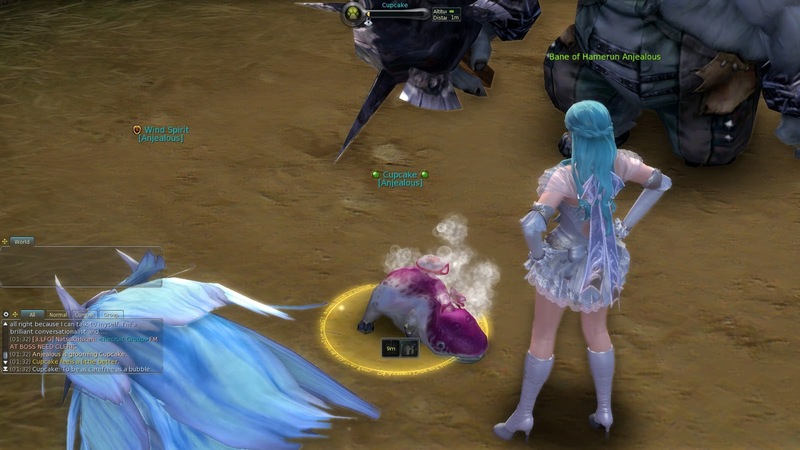 There is a pet system, maybe there was before and I didn't notice it or find it. but it is neat and you get a starter pet that you can interact with. The pet is adorable and you do things like make it work out and pet it and so on, a cute system. There are other changes and a lot of costumes to use, one time charge stuff, it's all on the official site listed. Excellent changes to the game in my opinion, I may stick around longer this time, it's quite fun to log in and knock out some questing. It is a very different leveling game than it was at release, but that is a good thing because the population is smaller and so many of those quests were a pain to try solo. 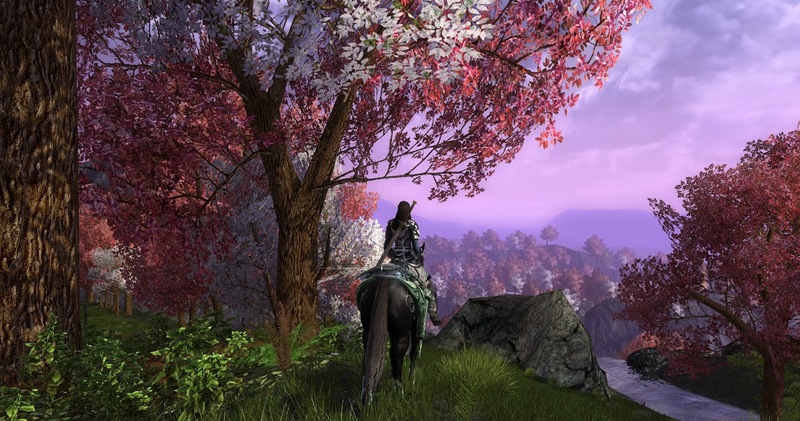 I wanted to play on the LoTRO Legacy server but then I thought about being stuck at a 50 cap if I even got there, so I decided to freshen things up and roll a new captain on a new server. I don't know why that seemed like a good idea, no money, no house, no... nothing. 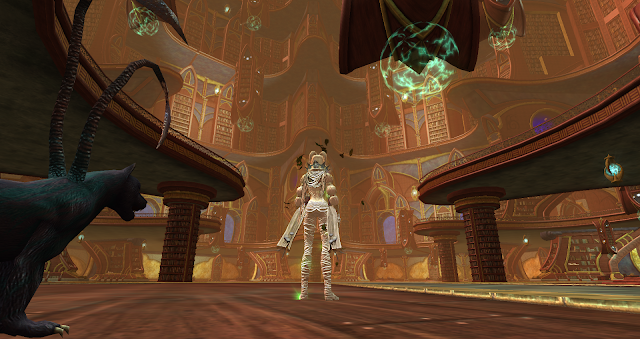 But it has been fun, starting off with my lone character on Crickhollow. I made the new elf race and like the class race combo as it is fresh and different to me. It is refreshing just going through quests in a classic feeling setting, it always is for me. I one day need to just make LoTRO my main squeeze for a while and play through all the content. It has so much to see and play though, I don't know why I have never stuck with it for too long. For now I am chugging along with my cappy, bumbling through the world blissfully while getting my footing on the new (to me) server. We'll see where it takes me. Have a good one. Safe adventures! After something like ten hours playing the new EQ2 expansion I haven't even seen one of the solo dungeons yet. For once I haven't even opened the wiki to look at the Timeline and that has made for a completely different experience to the last half-dozen expansions. Instead of following the storyline I've just been exploring, taking what quests I happen to see, killing nameds when I come across them...just like the old days. I think it's having four open zones plus the Library, which also has lots of quests, that led to this change of approach. Maybe it's the way I'm playing but it seems like a larger expansion than the last two or three.